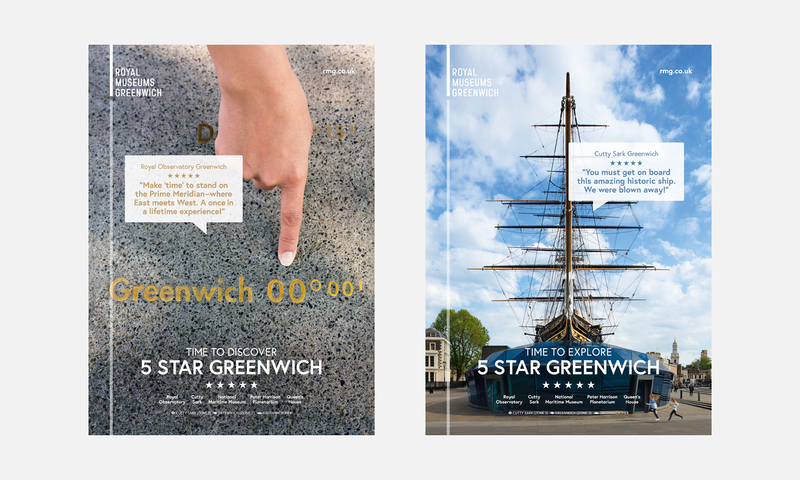 We were approached by Royal Museums Greenwich to create their Summer Destination Campaign. It needed to encapsulate Royal Museums Greenwich as a whole, as well as each of their five world-class attractions (National Maritime Museum, the Queen’s House, Cutty Sark, Royal Observatory Greenwich and the Peter Harrison Planetarium). 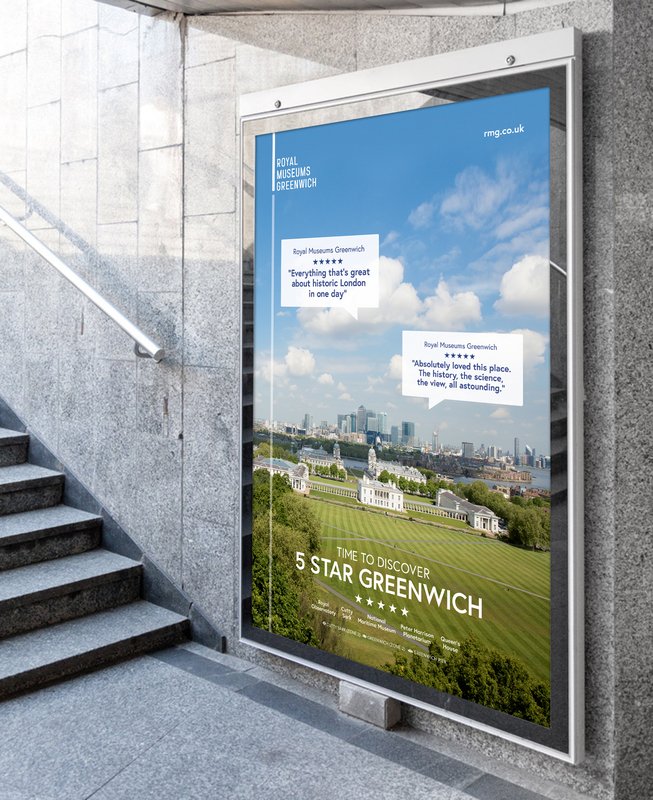 We developed our ‘5 Star Greenwich’ concept as a way of tying the five sites together with five-star visitor reviews, to attract an audience of both London locals and tourists. Our campaign makes use of real five star TripAdvisor reviews for an immediate and direct way of showcasing each of the sites’ popularity and appeal.